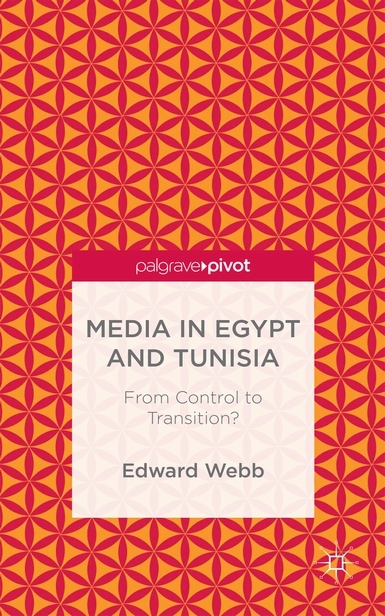 Webb, Edward, Media in Egypt and Tunisia. From Control to Transition?, Londres, Palgrave Connect, 2014, 124p. A year after popular uprisings overthrew dictators in Egypt and Tunisia, a former diplomat and press officer travelled to Cairo and Tunis to interview local journalists and learn about both their experiences under the previous regimes and how they were navigating the political transitions. Based on these conversations, the resulting study explains the shifting red lines under the Mubarak and Ben Ali regimes, examining how these lines were enforced and how the regimes manipulated media to manufacture popular acquiescence or apathy. A map emerges of an institutional and cultural media landscape that presents challenges to establishing the genuine public service media both countries need in order to thrive as democracies. Sifaoui, Riadh & Ben Abderrazak, Shiran (dir. ), Tunisie. Fragments de révolution, Tunis, El Kasbah, 2014, 317p. Aymes, Marc, Gourisse, Benjamin, Massicard, Elise (dir. ), L’art de l’Etat en Turquie. Arrangements de l’action publique de la fin de l’empire ottoman à nos jours, Paris, Karthala, 2014, 432 p.
Article suivant Cammett, Melani, Compassionate Communalism. Welfare and Sectarianism in Lebanon, Ithaque, Cornell University Press, 2014, 336p.